Videos | K. A. S. Art Gossip! Art is an inner expression which one uses to mimic his or her deepest thoughts and feelings. Some people may express themselves on canvas and others may use music. The China Deaf Group express sound and mimic objects through dance as they perform the Thousand Hand Guan Yin. You know, Andy Warhol only got shot because the person who shot him couldn’t locate the person she originally intended to shoot. C’est la vie – for Andy, at least. This interesting documentary, part of PBS’s American Masters series, is a beefy four hours of photography, interviews, and videoclips that accompany an overview of the events surrounding the most prolific and immensely popular artist of the 20th century. 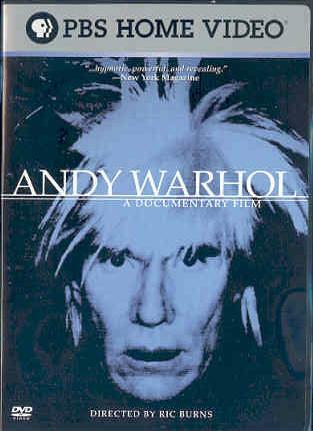 Thanks to this documentary, I’ve decided that Andy, whose oeuvre only contains the marvelously mundane or hugely popular (but always easily recognizable), was obsessed with the transience of life, and for him, fame and all that comes with it acts as symbols for such… Just watch the doc and make some profound conclusions for yourself. Civilization, a video mural created for the new Standard hotel in New York City, depicts a journey from hell to heaven interpreted through modern film language using computer-enhanced found footage. This epic video mural contains over 300 individual channels of looped video blended into a multi-layered seamless tableau of interconnecting images that illustrate a contemporary, satirical take on the concepts of Heaven and Hell. These are the words Kanye West uses to describe his most-recent visual aid for his latest single, “Power.” The 90-second neoclassical-inspired video, directed by Marco Brambilla, premiered on MTV Thursday night, and it can also be streamed from Kanye’s photoblog http://www.kanyeuniversecity.com/blog/. “Power” is everything you’d expect it to be – in addition to being mildly sexist and majorly typical of anything else Kanye does in celebration of himself, it’s uninspiring imagery of women with lingerie-model bodies has taken the idea of celebrating the human body and turned it into one of exploitation. I am posting this video not because I think the actual content was all that interesting, but because I enjoyed the idea of a video that is inspired by and called a painting. That idea in itself is more innovative than all of the other aspects of Mr. West’s latest project combined.